Draft: 2014, San Francisco Giants, 1st rd. Married Allie DeBerry on Nov. 26, 2017...Attended Vanderbilt University. During his sophomore season, he led NCAA Division I with a school-record 14 wins and was one of three finalists for the Golden Spikes Award. Helped the Commodores win the 2014 College World Series...At the age of 19, Beede got the idea for a charity called More Than Me...He wanted to help athletes find ways to give back to their communities....He partnered with Make-A-Wish and with The Miracle League, which provides disabled children the opportunity to play baseball...Tyler's father, Walter, was drafted by the Chicago Cubs out of high school but left after a year in the minor leagues...He coached baseball, including six years at Becker College in Worcester...He is known as "Young Beedah"...Has a budding career as a rapper...Counts artists such as J. Cole and Mike Stud among his influences...Check out his songs on Spotify, including one called "Boston Strong," a tribute he wrote to the city in the aftermath of the marathon bombings...Tyler has one sibling Kyle, who is two years older...They both played year-round sports, but always focused on baseball in the summer...Tyler picked up every sport quickly...He ended up as the quarterback on the football team, point guard in basketball, shortstop and pitcher in baseball. Spent the majority of his fifth professional campaign with triple-A Sacramento but also appeared in two games at the Major League level with San Francisco, appearing in two games in April...Was added to the Giants' "taxi squad" on April 9 to participate in pre-game warmups but could not dress for the game...Recalled April 10 as the Giants needed a fifth starter... made his Major League debut that night against Arizona and received a no decision, tossing 4.0 innings and allowing two runs on three hits with five walks and three strikeouts...Made one more start on April 15 at San Diego and allowed five runs in 3.2 innings of work...was optioned to triple-A Sacramento following the start...Was recalled a second time on May 30 to replace RHP Jeff Samardzija...was placed in the bullpen as the Giants concluded a three-game series at Colorado, but did not appear in a game...Posted a 4-9 record with a 7.05 ERA (58er, 74.0ip) in 33 games (10 starts) with triple-A Sacramento...was moved to the bullpen full-time in mid-June after posting a 2-7 record with a 7.28 ERA (38er, 47.0ip) in 10 games as a starter. Posted a 6-7 record with a 4.79 ERA (58er, 109.0ip) in 19 starts for triple-A Sacramento...Suffered a strained groin while warming up at Tacoma and had to be scratched from what would have been his 20th start of the season with Sacramento...missed the remainder of the season...Played for the Scottsdale Scorpions in the Arizona Fall League and went 0-1 with a 4.50 ERA (8er, 16.0ip) in four starts...finished his Arizona Fall League campaign on a high note, allowing two earned runs on six hits over 5.0 innings en route to a no-decision in his final AFL start. After struggling to a 5.23 ERA in 13 mid-season and late-season starts in the Eastern League in 2015, Beede led the circuit in 2016 with a 2.81 ERA and was second with 135 strikeouts and 46 walks over 147.1 innings...Was named to the mid-season All-Star team for the second-straight season...Was selected as the Eastern League Pitcher of the Week for the period of Aug. 29-Sept. 5...had a 2-0 record with 13 strikeouts and a 0.60 ERA...On Aug. 29 against visiting Hartford, he pitched a two-hit shutout in Richmond's 4-0 victory...he tied his career high with 11 strikeouts and walked just one batter while throwing his first complete game of his career...Twice carried a perfect game into the sixth inning, first on June 2 vs. Bowie and again on June 29 against Akron...Was a non-roster invitee to Giants' big league camp. Made nine starts for San Jose (A), posting a 2-2 record with a 2.24 ERA (13er, 52.1ip)...Struggled with Richmond (AA), going 3-8 with a 5.23 ERA (42, 72.1ip) in 13 starts...Was named to the California League Mid-Season All-Star team...Ranked as SF's second-best prospect according to Baseball America entering the 2016 season. March 19, 2019 San Francisco Giants optioned RHP Tyler Beede to Sacramento River Cats. October 1, 2018 San Francisco Giants recalled RHP Tyler Beede from Sacramento River Cats. August 21, 2018 Sacramento River Cats activated RHP Tyler Beede from the 7-day disabled list. August 19, 2018 Sacramento River Cats sent RHP Tyler Beede on a rehab assignment to AZL Giants Orange. August 1, 2018 Sacramento River Cats placed RHP Tyler Beede on the 7-day disabled list retroactive to July 31, 2018. May 31, 2018 San Francisco Giants optioned RHP Tyler Beede to Sacramento River Cats. May 30, 2018 San Francisco Giants recalled Tyler Beede from Sacramento River Cats. April 16, 2018 San Francisco Giants optioned RHP Tyler Beede to Sacramento River Cats. April 10, 2018 San Francisco Giants recalled Tyler Beede from Sacramento River Cats. April 9, 2018 Sacramento River Cats activated RHP Tyler Beede. April 5, 2018 RHP Tyler Beede assigned to San Jose Giants from Sacramento River Cats. April 3, 2018 RHP Tyler Beede assigned to Sacramento River Cats from Richmond Flying Squirrels. March 23, 2018 RHP Tyler Beede assigned to Richmond Flying Squirrels from Sacramento River Cats. March 19, 2018 San Francisco Giants optioned RHP Tyler Beede to Sacramento River Cats. November 20, 2017 San Francisco Giants selected the contract of Tyler Beede from Sacramento River Cats. October 10, 2017 RHP Tyler Beede assigned to Scottsdale Scorpions. September 5, 2017 Sacramento River Cats activated RHP Tyler Beede from the 7-day disabled list. July 25, 2017 Sacramento River Cats placed RHP Tyler Beede on the 7-day disabled list. April 3, 2017 RHP Tyler Beede assigned to Sacramento River Cats from Richmond Flying Squirrels. February 1, 2017 San Francisco Giants invited non-roster RHP Tyler Beede to spring training. 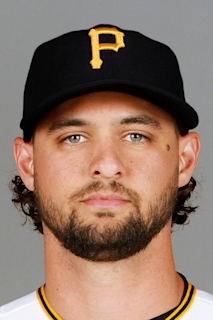 January 26, 2016 San Francisco Giants invited non-roster RHP Tyler Beede to spring training. June 4, 2015 RHP Tyler Beede assigned to Richmond Flying Squirrels from San Jose Giants. April 4, 2015 RHP Tyler Beede assigned to San Jose Giants from Salem-Keizer Volcanoes. August 22, 2014 RHP Tyler Beede assigned to Salem-Keizer Volcanoes from AZL Giants. July 31, 2014 RHP Tyler Beede assigned to AZL Giants. July 11, 2014 San Francisco Giants signed RHP Tyler Beede.